The J. Paul Getty Museum owns one of the world's most comprehensive collections of Walker Evans' photographs, including more of his vintage prints than any other American institution. This lavishly illustrated volume makes all of the museum's holdings available, covering familiar material such as his FSA work of the 1930s, along with lesser known work including Evans' photographs of Florida and the Polaroids he made at the age of seventy-four. 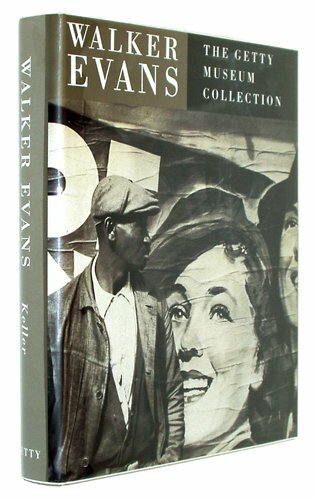 Keller's wonderful text puts the images into the various contexts in which they were made: Evans' personal vision, the state of the art, and the demands of the popular culture. An astonishing, beautifully reproduced collection of work by this American master.